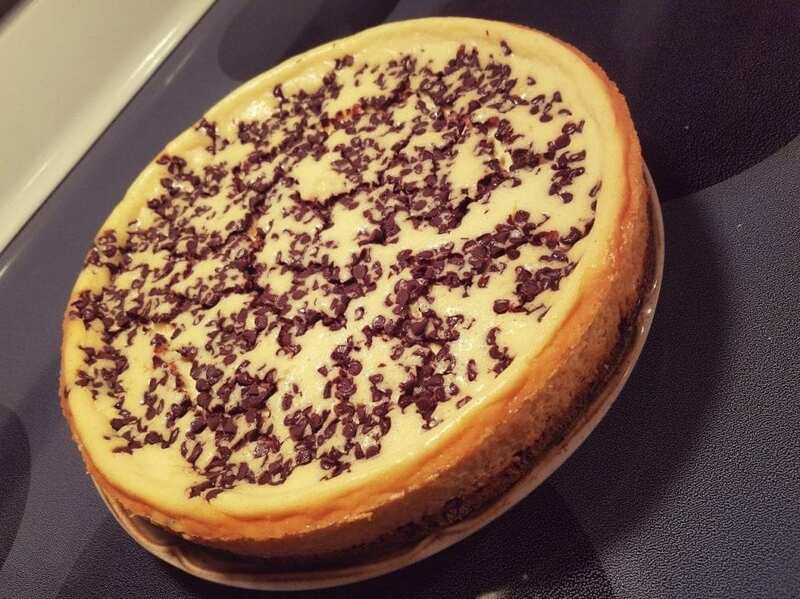 Whether you’re going to a potluck, cooking for an event or just looking for a delicious dessert for the family to enjoy, this chocolate chip cheesecake will be a hit! Easy to make and always turns out! Preheat the oven to 300 degrees F. In a medium bowl, combine the cookie crumbs and the butter. Pat evenly over the bottom of a 9-inch springform pan. In a large bowl, use an electric mixer to beat the cream cheese until fluffy- about 2 minutes. Add the sweetened condensed milk and beat until smooth. Mix in the eggs and vanilla. In a small bowl, toss 1/2 cup of the chocolate chips with the flour. Stir into the cheese mixture and scrape evenly into the prepared pan- on top of the cookie crust. Sprinkle the remaining 1/2 cup chocolate chips on top. Bake for 1 hour or until the cheesecake has very little jiggle left in the middle. Cool to room temperature and refrigerate overnight. To serve, remove the sides of the pan and cut into wedges. Keep refrigerated.